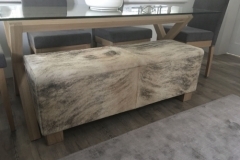 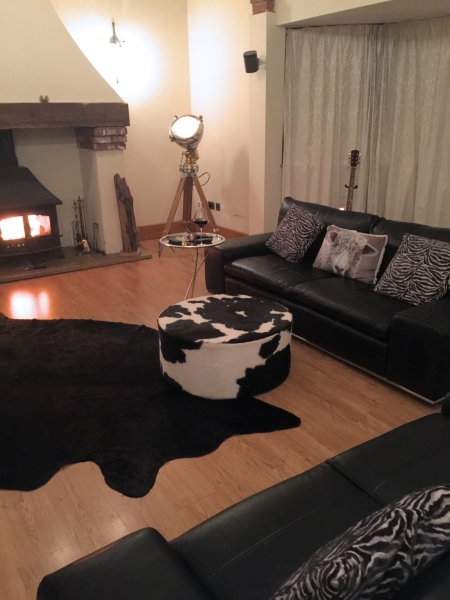 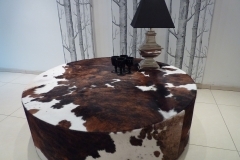 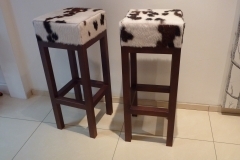 Cowhide furniture can be a show-stopping addition to any room and below we have a selection of pieces that can be ordered quickly and easily by email or phone. 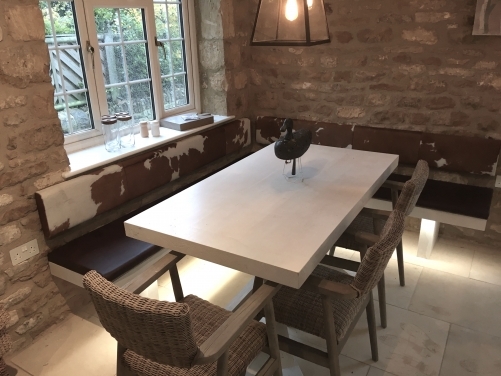 Each of these items can be made to your specification, changing COLOURS, DIMENSIONS and MATERIALS to meet your requirements. 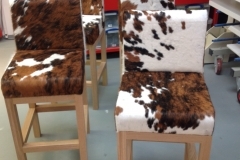 Alternatively, they can also all be produced in LEATHER. 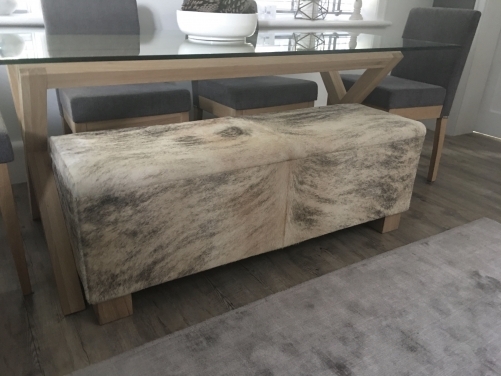 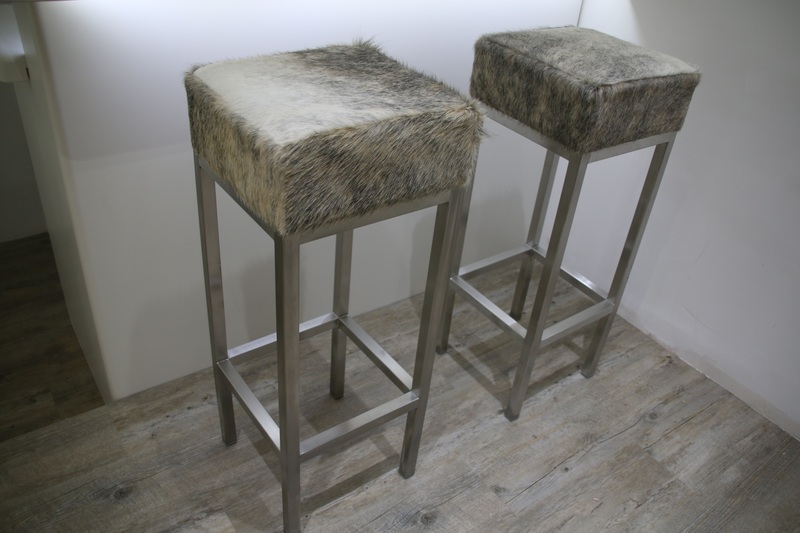 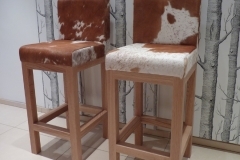 If you have your own ideas for cowhide furniture that you would like made or are looking for inspiration, visit our gallery page. 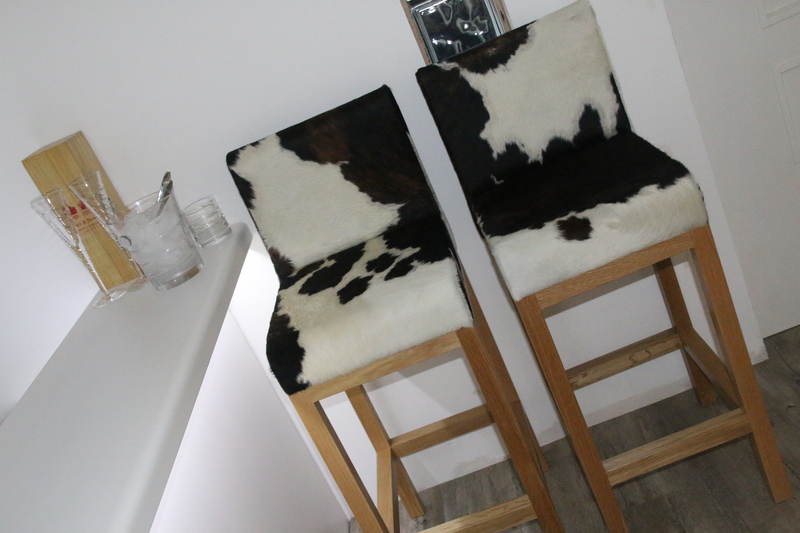 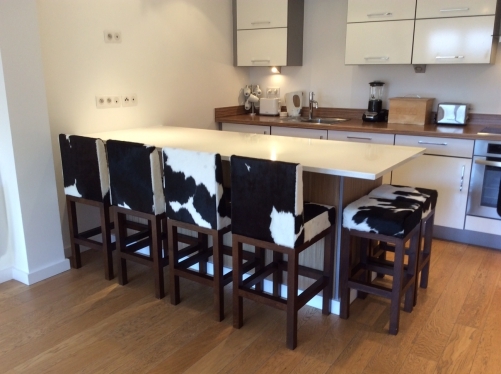 Whether it’s a cowhide kitchen or bar stool or a fluted lounger, cowhide always makes a statement and is a great accent to add to any room. 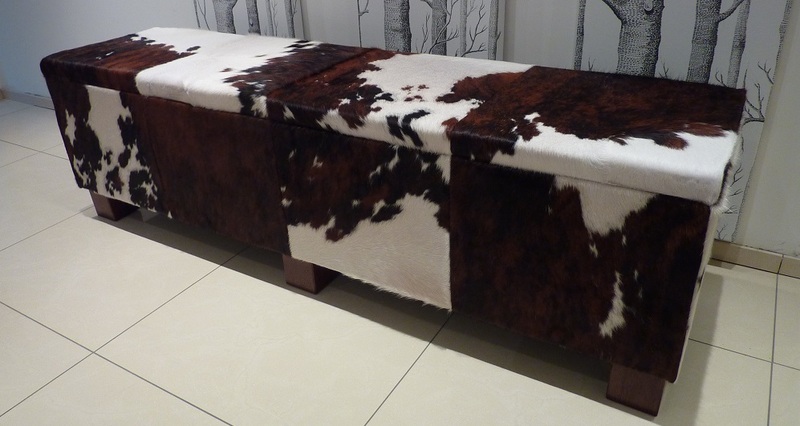 At Hide and Stitch you can create your own custom-made pieces of furniture in cowhide, so if you’ve seen something you like but would like it modified to your style, or you’d like to create something completely unique, we are sure that we can work together to manufacture your ideas. 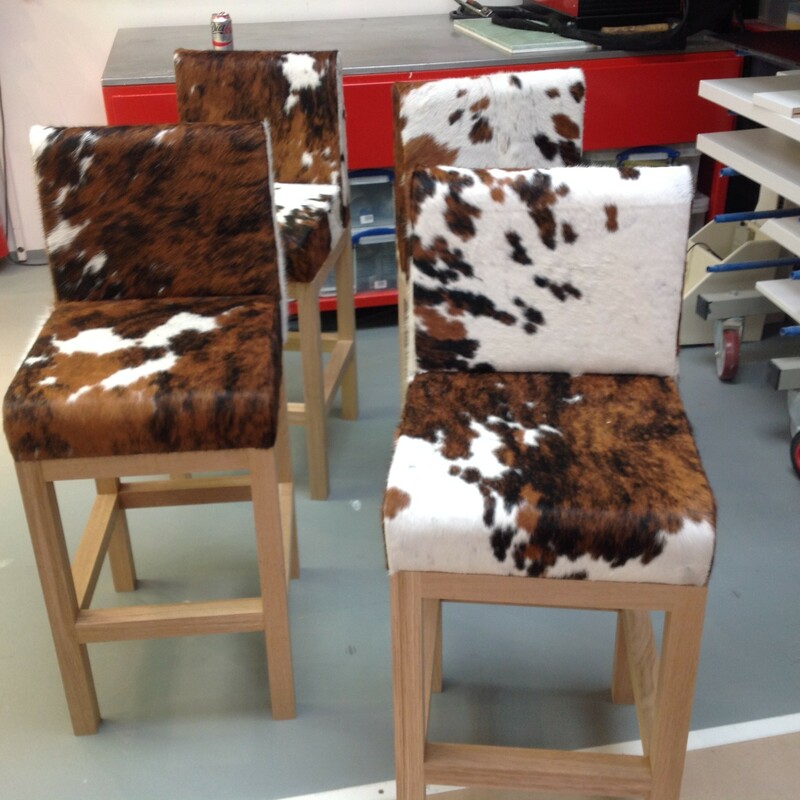 All cowhides are carefully selected for their perfect mix of colour and style to ensure that whatever we are making meets your requirements. Colour selection includes: Black and White; Tan and White; Tri-Hide (dark browns, black and white); Brown and White; Grey and White, and full block colour. 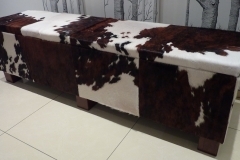 Where available we will order our hides from British suppliers, alternatively we will use hides imported from either Italy or South America. 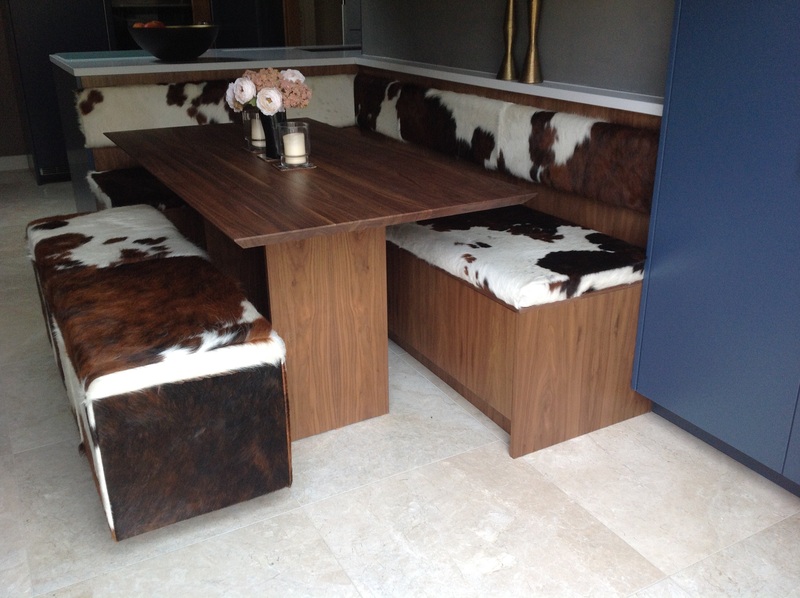 All hides used are of the very best quality to ensure their longevity and to create the perfect finish for whatever custom-piece we are making. 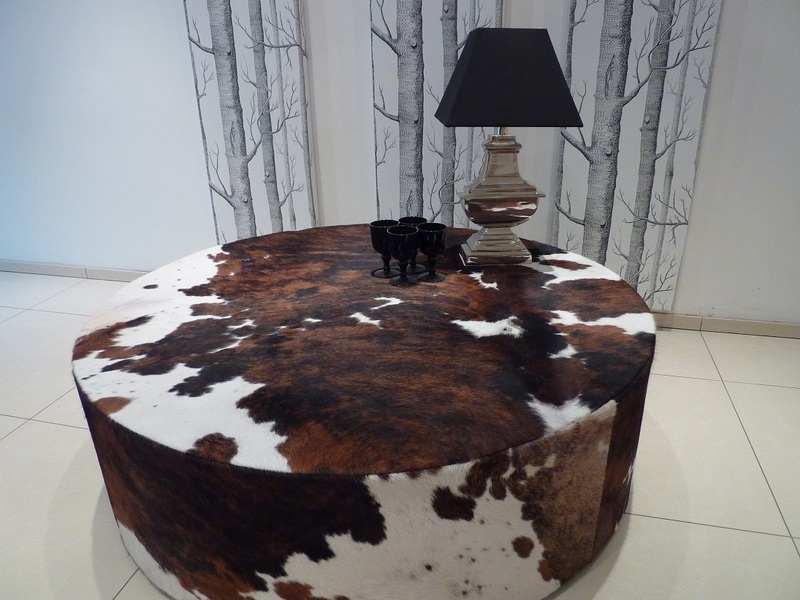 Cowhide can be combined with other materials: Leather, Wood and Metal to create a variety of interior styles. 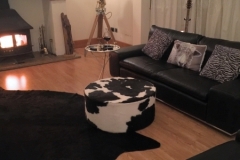 From contemporary country living to ultra-modern chic. 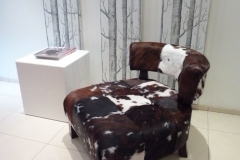 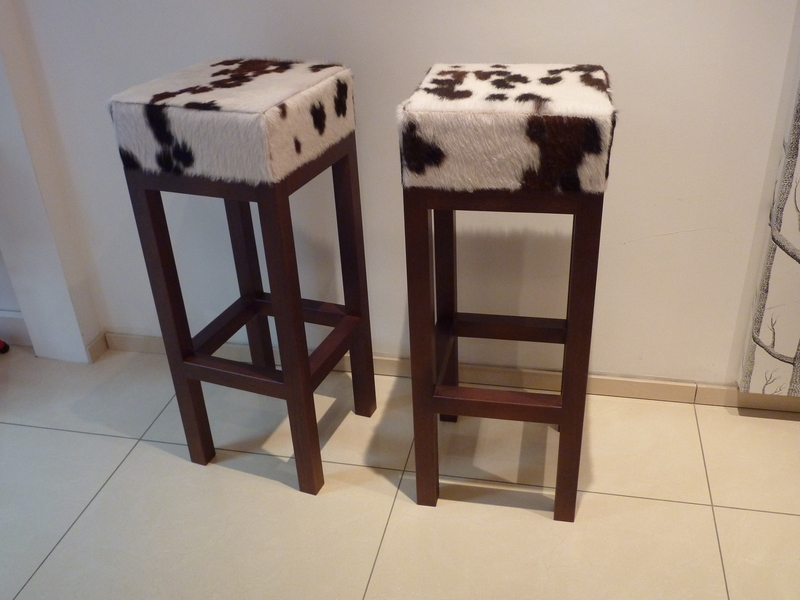 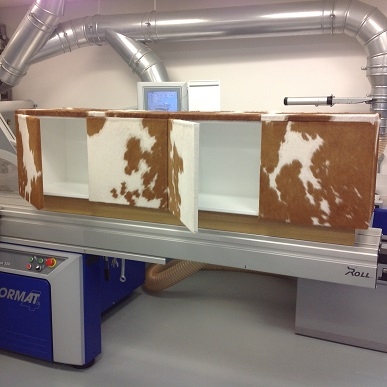 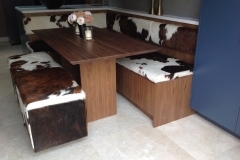 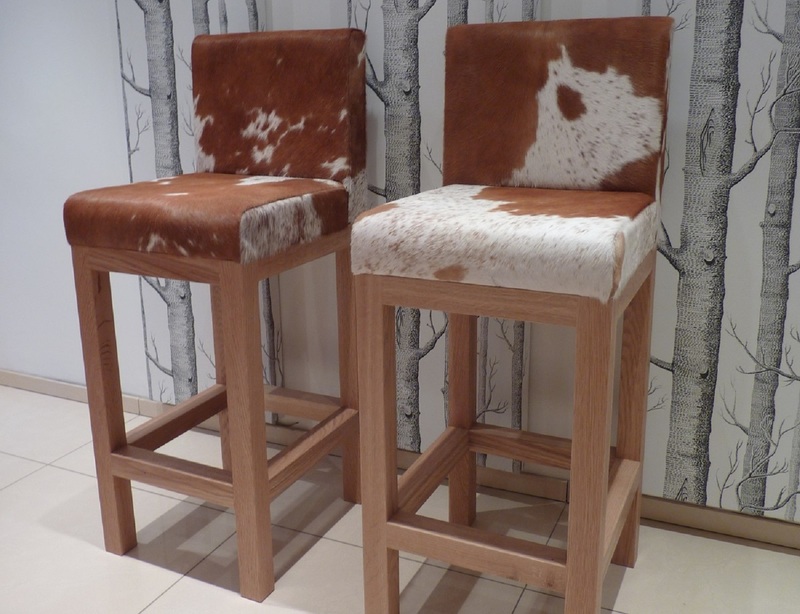 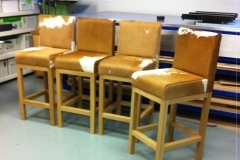 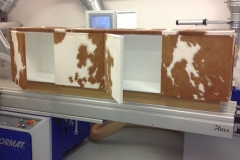 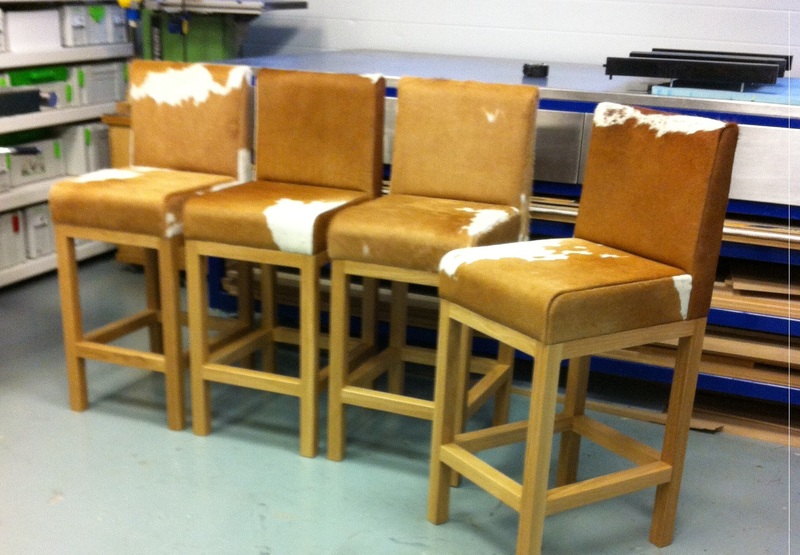 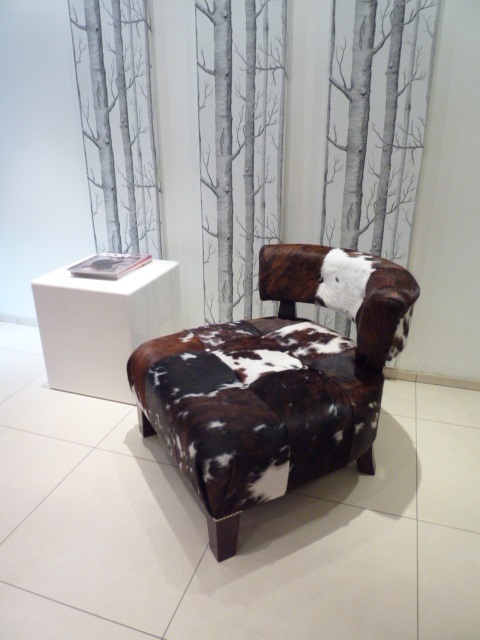 As well as manufacturing new projects in cowhide, we can also upholster your existing furniture. 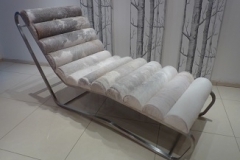 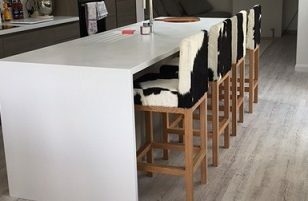 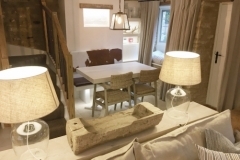 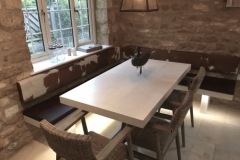 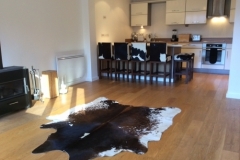 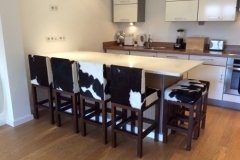 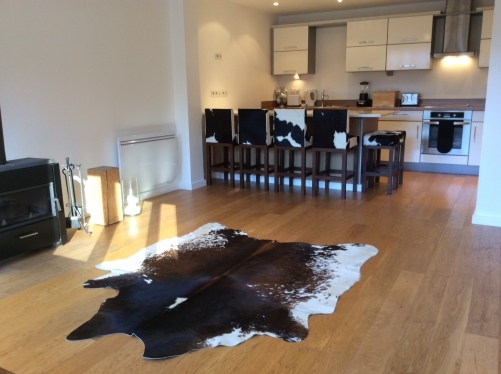 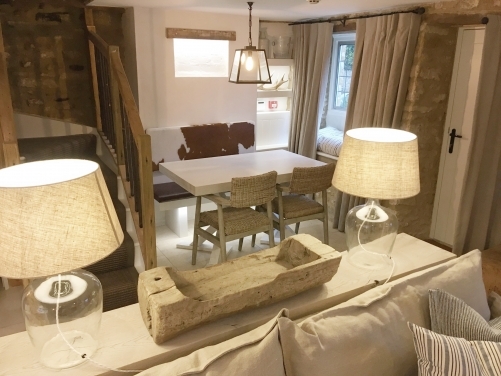 So if you have an old armchair, a footstool or some dining chairs that you think could benefit from a facelift, why not consider cowhide as an alternative covering?